Find out what insighting is and how businesses can make use of it. NOT EASY BUT EXCITING. Insighting expert Issa Baron says it is not easy to spot a compelling insight but if an entrepreneur knows his brand by heart, connecting with consumers could be exciting. Think of Facebook, Instagram, and Apple, or in the Philippines, think of TGP, Jollibee and the glossy magazines of Summit Media. What inspired the founders to create their products? Insighting can be applied in product development, marketing campaigns, or even in people management. 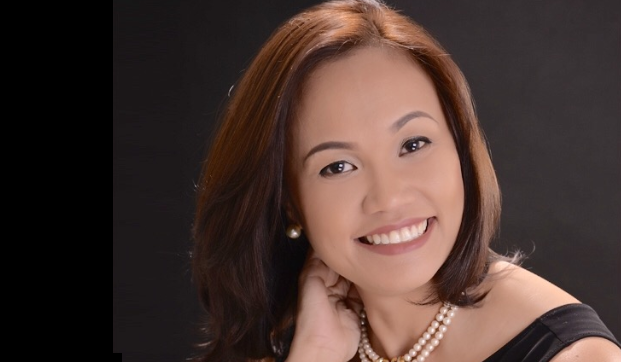 Insighting expert Issa Baron, managing director and partner at Good Thinking Research, shares her thoughts about the subject. Q: What is insighting and why should all companies, even small ones, generate insight? A: An insight is a latent consumer truth that brings about strong emotions (due to its relevance to the target segment). When clearly linked to the brand, an insight has the power to make consumers seriously consider a brand because it shares the same emotions and values as they have. It can make consumers see how a brand is able to solve an unresolved puzzle, which may have been tucked back into the subconscious because of lack of appropriate solutions at current time. Q: What made you specialize in insighting? A: Insighting is not a new concept. It was already being used by advertising agencies way back in 1992 when I started work with Lintas (now Mullen Lowe Lintas). It is how strategic planners create an interesting story about the brand. During my days in Lintas, I was amazed at how they would come up with consumer “hot buttons” on which they base their storyboards on. The most intriguing exercise was when the late Francis Trillana asked me to do desk research on the Filipino youth. I gave him a rather scholarly paper, much like a thesis would look like. But when he gave a speech for a Close-Up inspirational session, I was amazed at the teen truths he came out from what I submitted. From then on, I got curious about how to come up with a “hot button” (now called a consumer insight) to make consumers connect to the brand like Mighty Bond. Q: Insights are converted into strategies. What are some of the insights, both local and international, that have significantly grown or revived a brand? Lactum’s Panatag Si Mommy. Before Lactum, milks were all on mental development because it was found that moms rear their kids so they can achieve far more than they have ever achieved. But the insight on picky eaters also cuts across age; even up to 7-years-old. So Lactum was able to address a significantly large segment’s need for an answer to their most challenging problem of feeding their picky eater child. BPI’s Bank Anywhere. There was a study that identified migration as a major reason why accounts were closed at a branch. So consumers had to open a new account at the bank nearest their new residential or business location. Bank of the Philippine Islands was the first to introduced the Bank Anywhere concept; eliminating inter-branch charges for deposits and withdrawals. This allowed the depositor to open an account at any branch and continue with the brand, without any inconvenience, when a client needs to transfer location. Coke’s Open a Bottle of Happiness. To the local market, this global campaign was relevant to the different target segments in different ways. To moms, it was about her need to keep family bonding happy and special; no matter how simple and small due to budget constraints. To another critical segment of the brand—the youth, it was being able to find family support when he knew his actions would disappoint his parents. Interestingly, Filipino youth need to know what role he can clearly play in his family. Nike’s Just Do It. Nike started with “Just Do It” as an advocacy for the American people to start exercising and to get healthy. But over the years, it has remained very relevant to people who needed encouragement to pursue any challenge in life; with comfort and style. Interestingly, the brand seems to be gaining stronger momentum among the millennials who, as a generation, can jump from one interest to the other in order to find out what truly makes them happy. To this non-judgmental generation, brands that encourage this philosophy—more about comfort and style—seem more important than brands who offer status and exclusivity. Q: What are the steps in generating good insights? To listen, not lead. Be careful with how you ask your questions. Asking very broad questions can cast out a bigger net. Allowing the consumer to define the broad question depending on how relevant it is to him or her is very revealing. Find similarities among observations and come up with a theme. Best to find a value that the action reflects..
Identify new themes and values that can describe your target market, particularly the new conflicts they encounter maybe due to upcoming social trends. Choose which conflict your brand can help answer in a unique way. For complete transcript as well as interviews with other thought leaders, please log on to www.josiahgo.com.